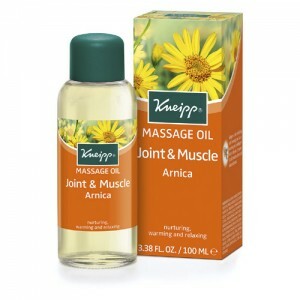 Provides soothing all over relief for joints and muscles. A highly concentrated bath treatment with aroma-intensive essential oils and arnica extract. 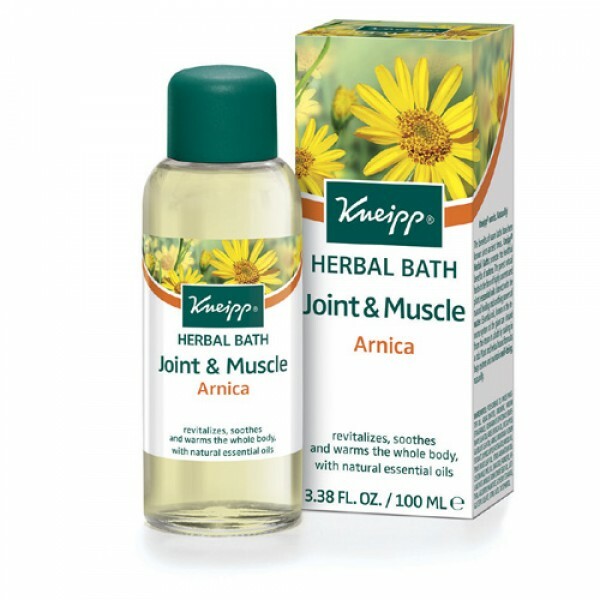 Arnica is a natural anti-inflammatory and effective on bruises. Specially suited for use after sports. Each bottle contains enough for 10 baths. 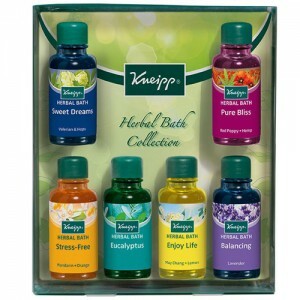 Kneipp offers an extensive range of natural bath and massage oil range based on its holistic philosophy. Since 1891 Kneipp has made contemporary products for health and wellbeing using only natural and superior quality ingredients. Arnica:Polysorbate 20, Pinus Pinaster Oil, Aqua (Water), Limonene, Parfum (Fragrance), Rosmarinus Officinalis (Rosemary) Leaf Oil, Abies Sibirica Oil, Eucalyptus Globulus Leaf Oil, Arnica Montana Flower Extract, Myrocarpus Fastigiatus Wood Oil, Pinus Mugo Leaf Oil, Citrus Aurantium Dulcis (Orange) Peel Oil, Linalool, Farnesol, Helianthus Annuus (Sunflower) Seed Oil, Lecithin, Ascorbyl Palmitate, Glyceryl Stearate, Glyceryl Oleate, Citric Acid, Tocopherol. *Parfum - this relates to the essential oils and plant extracts - does not contain synthetic fragrance. 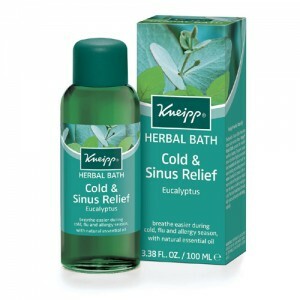 Use one capful of Kneipp Herbal Bath Oil for each bath, lie back, breathe deep and relax.